Bladnoch distillery’s first official single malts for several years have been released ahead of the distillery’s reopening this summer. Three new expressions – a no-age-statement, 15- and 25-year-old – have been launched in Australia and limited quantities will be rolled out to global markets from February. Although each one has been created using existing, rare stocks of Bladnoch single malt, they have been designed to ‘signify a new lease on life’ for the Lowland distillery, in terms of taste, look and feel. The non-chill-filtered trio include the no-age-statement Bladnoch Samsara, which carries an RRP of A$129.99; the 15-year-old oloroso Sherry cask-matured Bladnoch Adela (A$179.99); and the 25-year-old Bladnoch Talia (A$499.99), which has been finished in new American oak casks. The expressions were created by new Bladnoch master distiller Ian MacMillan, former master blender for Burn Stewart, which produces Bunnahabhain single malt and the Scottish Leader and Black Bottle blends. These new releases mark the rebirth of Bladnoch distillery, which was mothballed in 2009, under the new ownership of Australian yoghurt entrepreneur David Prior. Prior, who purchased the site in 2015 with his Bladnoch Distillery Company, has been renovating the distillery to recommence production this May, with a view to reopening Bladnoch to visitors later in the year. Since the purchase, the company has launched blended Scotch brand Pure Scot in Australia, further expressions of which will be launched over the coming year. 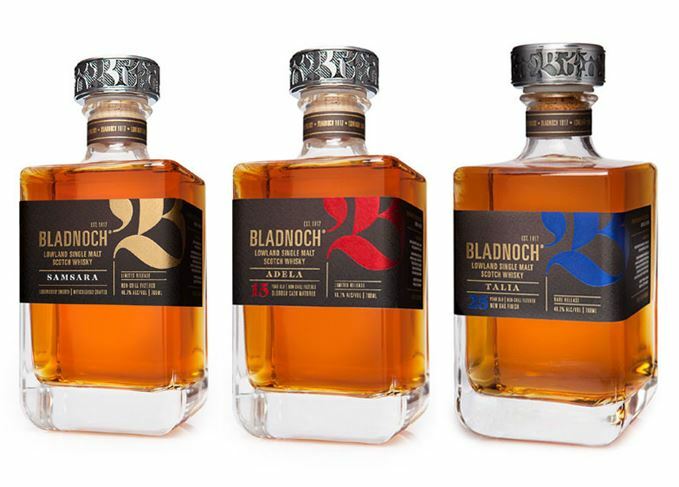 Prior said: ‘We have great plans for Bladnoch and we know this rebirth of the brand is just the beginning. An additional limited edition bottling, created using Prior’s existing stocks of Bladnoch whisky, will be launched later this year to mark the distillery’s 200th anniversary. Bladnoch distillery was first built in 1817 by John and Thomas McClelland on their family farm in the south-west of Scotland. Since then, the distillery has witnessed periods of boom and bust, as well as seeing several owners come and go, including Inver House Distillers and Diageo. Bladnoch distillery will run once again after the site was purchased by an Australian businessman. The Lowland distillery has added a limited edition 10-year-old malt to its line-up.